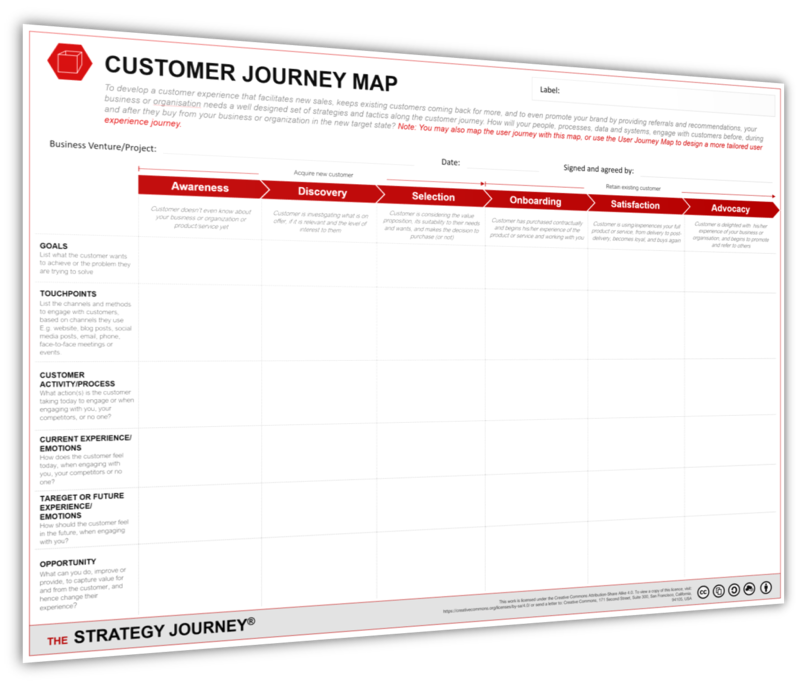 A simple yet comprehensive map that helps you to develop the best strategies to service your customers, and keep them engaged, loyal and buying more from your business or organisation. FROM THE FREE RESOURCE LIBRARY ON THE STRATABILITY ACADEMY PORTAL. 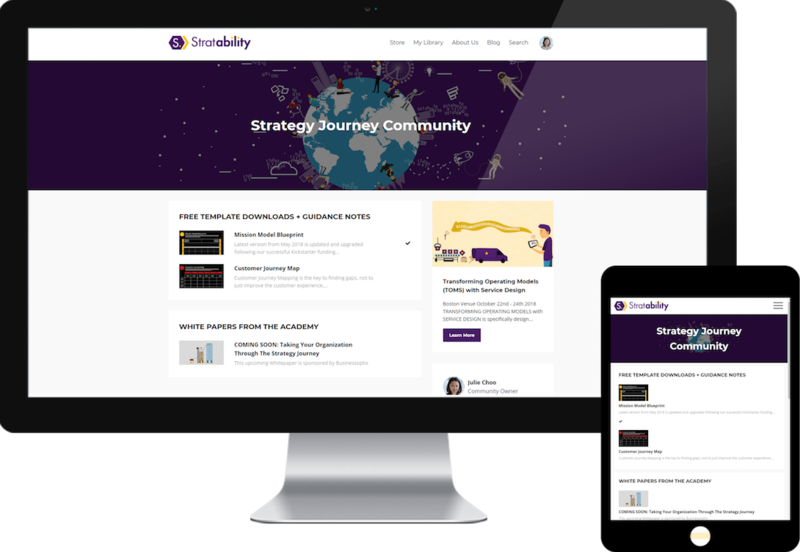 The Customer Journey Map is just one asset from our full resource library available to all Strategy Journey Community Members when you sign up. There are also many FREE white papers, templates, videos, case study examples, and more... that have all been created to help you and your business to successfully overcome challenges as you navigate along your business journey. Enter your name and email here so we can send you the PDF now! We don't spam! 100% Privacy.